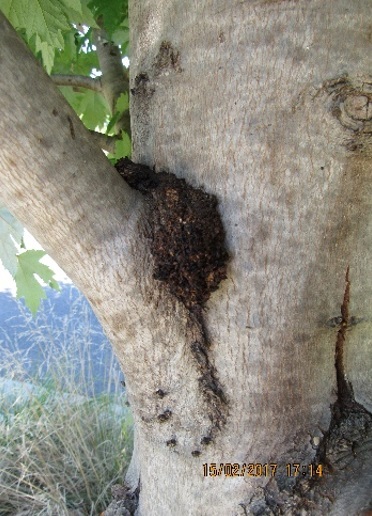 Fruit Tree Borer activity at the initial stages appears insignificant. If no action is taken it will disfigure and damage the tree to the point of removal. Treatments save the asset and years of tree re-establishment. Which in turn maintains the amenity value of developments and individual property values. 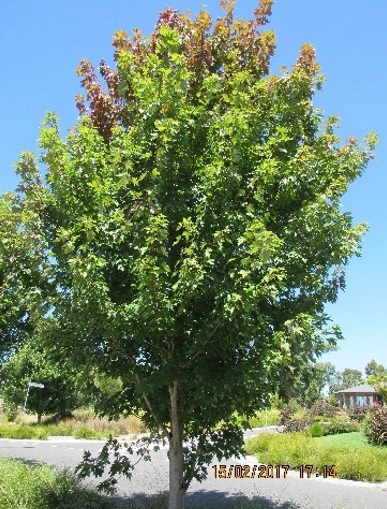 “Acer Campestre” cultivars are very susceptible. Fruit Tree Borer “Frass” around branch union.